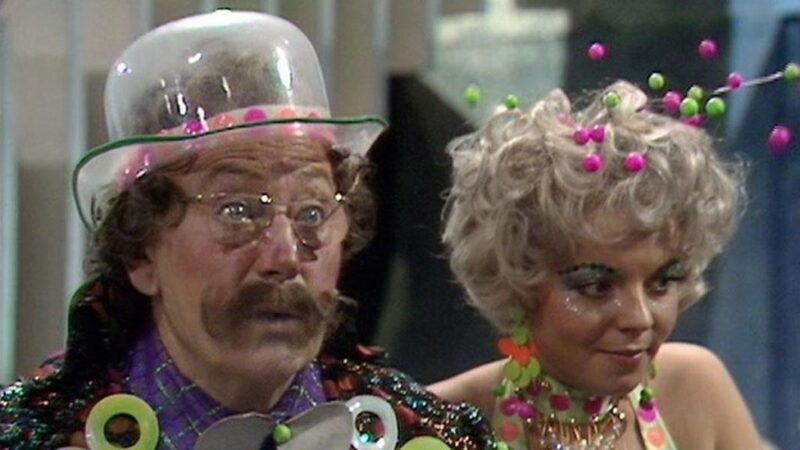 Seen as a light confection between the self-congratulatory The Three Doctors and the more serious tone of Frontier in Space, Carnival of Monsters has much to recommend it. Its light tone and quick-witted script shares a knowing wink with its audience as it all but abandons any attempt at naturalism in favour of board, larger than life satire. 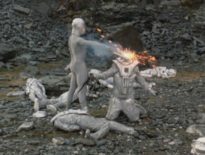 Extracting the core elements of what makes Doctor Who what it is, regardless of how complex or multifaceted the set up maybe – basically the Doctor and his companion running away from monsters – Carnival of Monsters makes one key change. 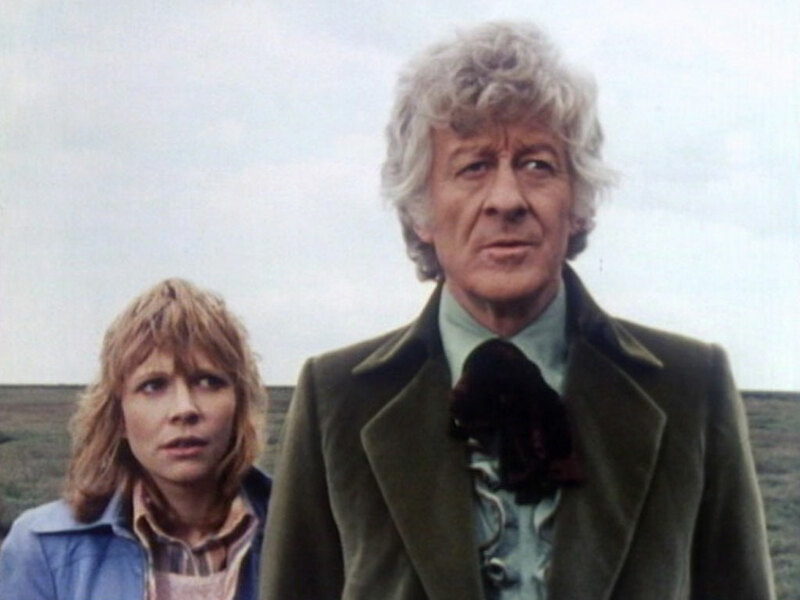 By placing a screen between it and the audience, we now get to see the Third Doctor (Jon Pertwee) and Jo Grant (Katy Manning) getting chased by monsters through a pseudo television screen; with the suggestion that anybody who enjoys this sort of thing must be some sort of degenerate. This cynical and knowing satire isn’t the engine that drives the story, it’s just there in the background, occasionally poking you in the ribs with the crook of its elbow – it’s as much a comment on the people watching the show as those making it – and, like most Robert Holmes scripts, it brings a much welcomed dark edge to its tongue in cheek humour. We’re on familiar ground in terms of typical Holmesian themes; there’s order vs chaos, with particular focus on the blaggers and rogues of the underworld fighting against stifling bureaucracy. In this case, our ne’er-do-well is the moustachioed Vorg (Leslie Dwyer) and his glamorous assistant Shirna (Cheryl Hall), a pair of itinerant carnival workers who travel to Inter Minor with their mobile Zoo/TV set known as the Miniscope – a device which shrinks living creatures inside miniaturised copies of their nature habitat. The effect is sort of like watching TV. 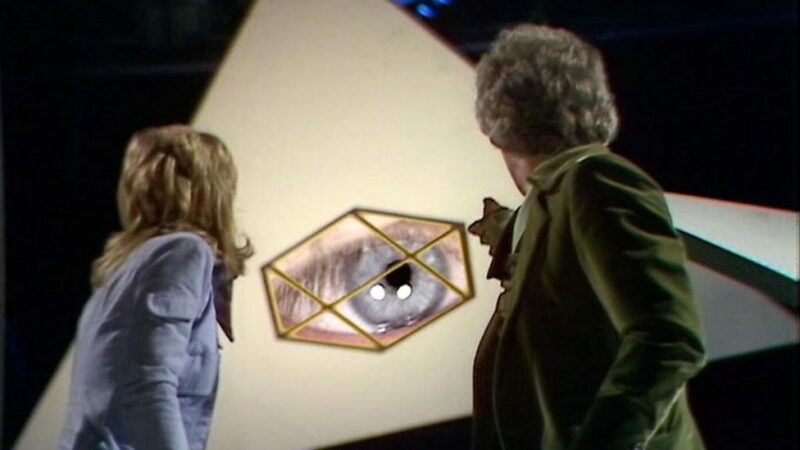 Viewers can ‘switch channels’ between each habitat on the viewer – allowing them to see such sights as a Drashigs in their swamp land or a brief glimpse of the Cybermen. Meanwhile, free from the exile to Earth imposed upon him since the events of The War Games, the Doctor and Jo Grant materialise on board the SS Bernice, a ship apparently sailing across the Indian Ocean in 1926. Seeing the SS Bernice for what it is – a hellish trap of perfect order, where its inhabitants act out the same meaningless charade over and over for a faceless watcher (not exactly subtle) – they are freed from their plight by the actions of the story’s eventual hero, Vorg; who, ironically, is the very model of chaos. It’s difficult to judge just how much he gained from the experience. Vorg seems to grasp that by repairing and commandeering the Inter Minoran’s energizer gun to put a stop to Kalik’s plan to cause a Drashig massacre, he does bear some of the responsibility for the inhabitants plight in the first place. Although because we never learn the potentially monstrous lengths he went to in ensnaring those inhabitants in the miniscope, it’s hard to feel that he’s come full circle. The pair are on decidedly shaky ethical grounds although everything they do or say does illicit a fair amount of sympathy: they’re down on their luck, wearing clothes that only make sense to Doctor Who costume designers in 1973, and for the large part, they are bartering for their lives with the prissy Inter Minorans who fear another viral outbreak from passing strangers. You almost forget the fact that they can adjust the scope to make the inhabitants both amnesiac and violently aggressive with an unthinking turn of the dial. 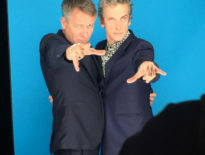 In fact, come the end of the serial, he’s reverted back to type; grifting credits of Plectrac (Peter Halliday) – which you could generously argue is exactly what that planet needs, a little bit of chaos in the system. And after all, isn’t that the Doctors role in all of this? As he admits himself, he’s a vagabond – a man with no fixed abode or at least an abode that doesn’t stay fixed in one place – who ingratiates himself into other people’s business. However, when Vorg tries to speak to him in the common parlance of the carny, he hasn’t a clue what he’s trying to say to him. Then there’s his obvious pride at his apparent one-man crusade to wipe out miniscopes – a campaign he championed while working with the Time Lords. Perhaps more so than any other Doctor, the Third Doctor always felt more comfortable in an aristocratic role – leaning more heavily on the Lord part of his species name. 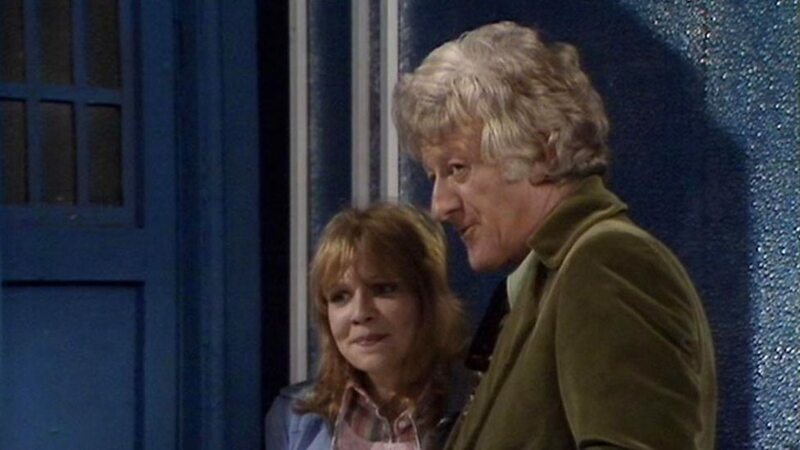 Anyway, there’s a clear parallel between the two pairs – an older man with a younger female companion gallivanting across the galaxy with a technology that’s bigger on the inside and, the final shot of Shirna smiling a wicked smile as the TARDIS dematerialises, seems to acknowledge that she knows a good trick when she sees one. The serial isn’t without its faults. Perhaps we’ve been spoilt by the modern Doctors championing of the downtrodden but it’s very surprising that he doesn’t take on the cause of the much maligned Minorian workers, whose subplot remains largely undeveloped. Once we’ve seen one of their number dare to ascend to a higher level and then be immediately shot down from that level, that’s about it. 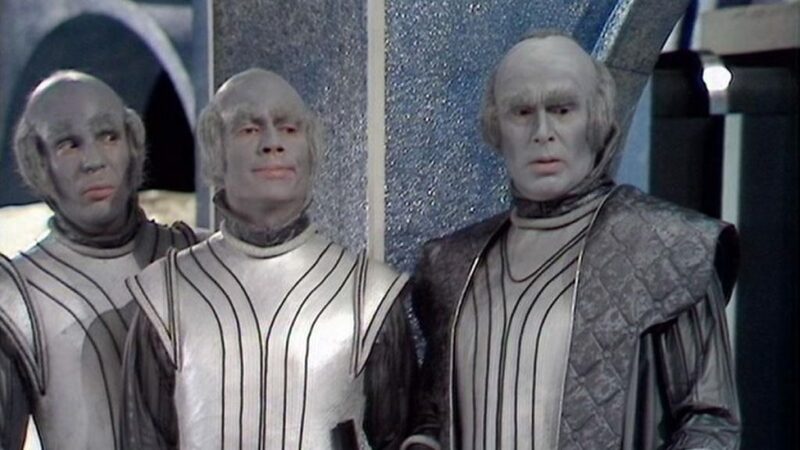 It’s not uncommon in Third Doctor serials for workers’ rights to be broached and then all but forgotten come the end of the serial; the same can be said for The Green Death and The Curse of the Peladon but it’s strange that the Doctor doesn’t even seem to acknowledge the Functionaries. There’s also the history-altering implications of returning the SS Bernice back to its time stream: What exactly happens to it? 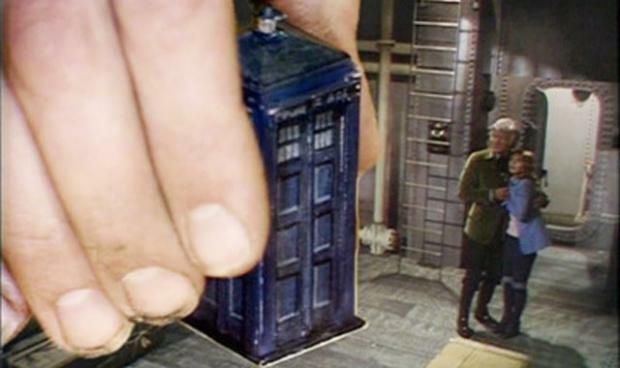 The Doctor says that everything in the miniscope should be returned to its correct timeline – and we get a final scene of the passengers and crew back on board as though nothing had happened – but if, as the Doctor has said, it’s disappearance is as famous as that of the Marie Celeste does that mean he’s casually altered time or that a far worse fate awaits those aboard? Carnival of Monsters succeeds mostly down to its witty, inventive script – that first episode grabs your attention and refuses to let go – and its stunning design work. Yes, the Drashigs are little more than hand puppets but they are beautifully realised, as to are the set designs, with the inside circuitry of the miniscope, which is not only particularly imaginative but also invokes the classic 60’s sets of the Second Doctor’s era. Features	Did the Third Doctor Ever Fight the Cybermen?